I worship the entire Guru Parampara that begins with the Lord of Lakshmi, Sriman Narayanan; with Sri Nathamuni and Sri Yamunacharya in the middle up until my Acharya. I resort to the sacred feet of that Sri Ramanuja who is the very ocean of compassion, our master, who in his fascination for the golden lotus feet of Lord Achyuta, deemed everything else as trifling as a blade of grass! 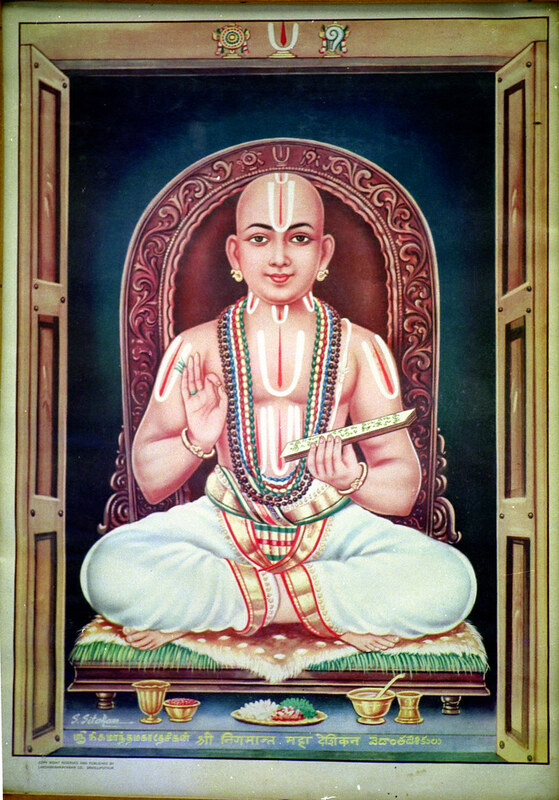 I salute the great Vedanta Desika who was named Venkata Natha and was a Lion among poets and logicians and who was well adorned by the jewels of Knowledge and Detatchment and who was a receptacle of the grace of Sri Ramanuja! Sriman Venkata Natharyah Kavitarkika Kesari | Vedantacharya Varyo Me Sannidhattam Sada Hridhi || May that great lion among poets and the great preceptor of Vedanta (that Swami Venkatanatha was) reside in my heart always!